Dance for the Camera is a unique time-based art form that crosses disciplinary boundaries; it is movement in time and space envisioned through the frame, a dynamic composition that is equally relevant to dance, visual arts, film, theatre, architecture, and design. The two weeks Dance for the Camera workshop that will take place in Cape Charles, Virginia at the Arts Center from 1st to 13rd August 2011 is designed to improve and teach efficient decision-making processes during production and post-production sessions for the realization of a Dance for the Camera film. For that occasion, I’m going to present some sound theories that I applied in my latest works: Field recording, performing Foleys, Sound effects design, Sound Editing techniques. 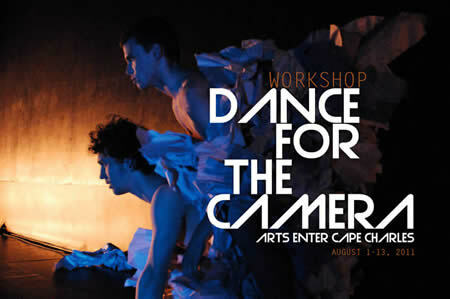 Dance for the Camera Workshop Webpage.